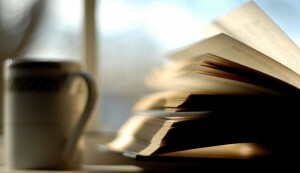 Why Do People Read Bad Books? 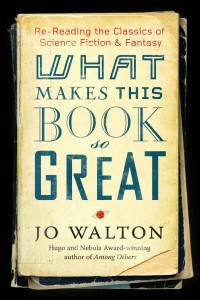 Recently I’ve been reading What Makes This Book So Great, by Hugo and Nebula Award winning author Jo Walton. In it, she takes various essays regarding the science fiction/fantasy genre originally blogged on Tor.com, and incorporates them under a single cover. It’s a fascinating read from a well versed and extremely well read woman who is a pretty fine author in her own right. One particular essay really grabbed me (“Bad, but good: David Feintuch’s Midshipman’s Hope”), wherein she addresses the question, “Why do people read bad books?” According to the essay, Penguin Books editor Sharyn November answers that question with a wry “everyone wants Cheetos sometimes.” In other words, everyone wants something that doesn’t demand much of the reader at times. When I think of my comfort re-reads they all tend to be things where everything comes out all right in the end – children’s books, romances, and military stories. The characters in these sorts of books tend to be justified in what they do. There’s a certain black and white nature to them. (…) The other thing that they have in common is that while the prose might be clunky, the characters might have only two dimensions and the plots when examined may be ridiculous, they’re really good on the storytelling level. They may look contrived when you step away from them, but while you’re immersed, you can care. In a different essay (“Waking the Dragon: George R.R. Martin’s A Song of Ice and Fire”), she points out that what she calls the “I want to read it” quotient – or “IWantToReadItosity” – is “entirely separate from whether a book is actually good.” She admits to not enjoying Robert Jordan’s “The Wheel of Time” books (I agree with her there), losing interest after The Eye of the World, and to not being very enamored with the Harry Potter books (with which I completely disagree), which she stopped reading after the first three volumes. But she makes it clear that her IWantToReadItosity is not a factor of whether a book is good or bad, merely of how badly she wants to read, or re-read it. All this talk of good books and bad, wanting to read something despite its being bad, not wanting to read something else even though its considered “good”, made me wonder about my own notion of good versus bad, and had me considering my own “I want to read it” quotient. I admit I’m not the most discerning of readers (probably not a good thing for someone who purports to be a reviewer). I like quite a lot of what I read, and enjoy books that I know are not “quality” reads just as much as (and sometimes more than) books that are universally considered of great craftsmanship and value. Yet I also appreciate books that others feel are too highbrow, too esoteric, or force the reader to remain engaged through nimble prose alone (but please don’t ask me to attempt Thomas Pynchon’s V again!). So what is it about a book that tends to make me cool to it? Well, honestly, not much, but there are a few things. Lack of believability is a big one, at least if I am expected to blithely accept something that is unfounded, such as comely heroes with unlimited, unreasonable attributes. Or magics and abilities that appear at just the right moment to save the day even if there was no inkling that they ever existed prior to being needed (too much coincidence in any form can be a big turn-off for me), or characters that aren’t consistent. Technically complex stories with equally unmanageable explanations. Being kept off balance for too long. Gratuitous cruelty. On the flip side, I can sit through a bunch of dreck for lesser reasons. Take, for example, Stephenie Meyer’s “Twilight” series. I admit that I read all four books in that series, even though by Breaking Dawn I was just barely hanging on with clenched teeth. I certainly agree they were not well written (although I think the first book, Twilight, had promise), that the characters were derivative and the action ridiculous, and that there was almost nothing redeeming about the group once the end had been reached – especially once the end had been reached. Each book got progressively worse from the one before it. So why did I continue to read them? Basically, I wanted to see what all the fuss was about. By the time I started reading the books, the Twilight frenzy was already in full swing and even though my own kids didn’t partake (my daughter was vehemently anti-Twilight), I still wanted to decide for myself whether all the kerfuffle had any validity – something about being able to make a decision based on evidence, not hearsay. Plus, they were fairly quick reads so it’s not like I invested a lot of time in them. Actually, reading the “Twilight” novels taught me quite a bit about pop culture hysteria, hammering home that just because something is popular doesn’t mean it is good (or bad). I knew this, yes, but it’s not a bad thing to have that affirmed. And the experience of reading the “Twilight” series came in handy when deciding to read the entire “Hunger Games” series, but to only go so far as City of Bones in “The Mortal Instruments” series, to drop Divergent without guilt when I just couldn’t glean any enjoyment halfway through the first book, and to not waste my time with 50 Shades of Gray. And if the answer is, “I’ll read anything as long as I can curl up with it AND a bag of Cheetos”, well, who am I to judge, eh? You gotta admit, sometimes Cheetos are mighty tasty, even if they are bad for you. And reading any book, “good” or “bad,” is far better than not reading any books at all. * Since writing this, I have indeed read and finished God’s War, and ended up not only changing my opinion of it, but feeling like it is perhaps one of my favorite books in that genre. Certainly it made me a Kameron Hurley fan for life.